Sal and bamboo forests, rolling grasslands and sinuous streams altogether captivate ardent wildlife and nature lovers alike at Kanha. Nestled in the Maikal Range of Satpura in Madhya Pradesh, Kanha National Park is one of the largest reserves in India and is also a dwell of the majestic Royal Bengal Tiger. 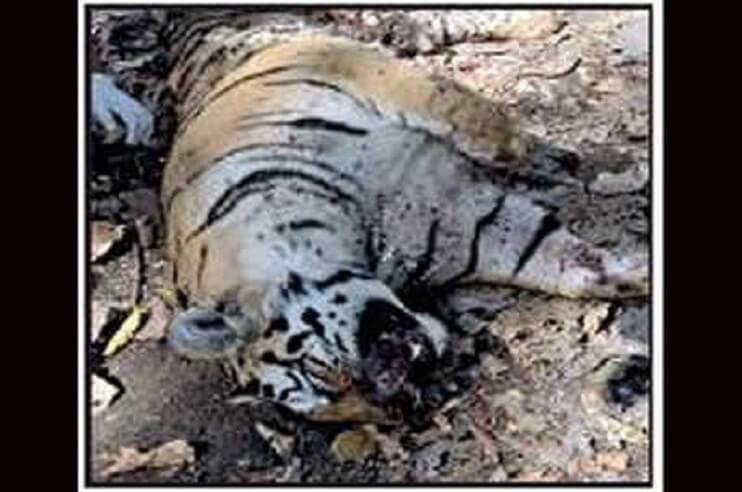 In fact, in the state, Kanha has the highest density of tiger population with around 60 big cats wandering aimlessly in the forest area. Sprawling across two districts – Mandala and Kalaghat, the park came into existence in 1879 as a reserve forest and later as a wildlife sanctuary in 1933. Later in 1955, it was aggrandized to a national park. From Pench National Park, the Kanha reserve is situated at a distance of around 187 km. The vivacious land of Kanha National Park is girdled by beautiful meadows, stunning streams, and mesmerizing greenery ideal for a perfect wildlife tour. Apart from the jungle safari in Kanha National Park, one can savour the fun experience of other activities like nature walk, birding, and village visit. Therefore, come and get thrilled by the exquisite nature’s beauty and enthralling wildlife tourism at Kanha National Park. – one of the finest reserves in Asia. 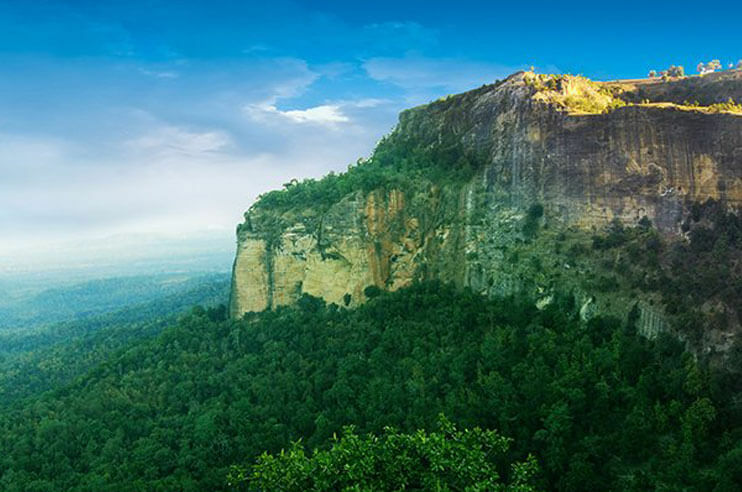 The effervescent flora of Kanha National Park boasts more than 1000 species of flowering plants. Besides, it also includes sal, bamboo and other mixed forest trees along with meadows, climbers, herbs, and shrubs flourishing in the forest area. Also, there are some aquatic plants in the lakes that are important for the survival of wetland and migratory species of birds. Whereas as far as fauna is concerned, the reserve gives a glimpse of numerous endangered species of like tiger, leopard, bison, gaur and deer species which include spotted deer, sambar, four-horned antelope, mouse deer, and barking deer. The unique species like barasingha, blackbuck, and swamp deer showcase the distinctive wildlife of the reserve. Other animals like fox, hyena, honey badger, Indian wolf, sloth bear, wild boars, jungle cat, langurs, and macaque also resides here. Moreover, the reserve is also known as the dwelling land of over 300 species of birds and also a number of reptiles like python, cobra, and vipers. Safari timing of Kanha National Park varies as per the season. From 16th October to 15 February, the morning shift starts from 6:30 AM to 11:00 AM. And those in the evening batch, it starts from 2:00 PM to 5:30 PM. Similarly, from 16 February to 15 April, the timings are 6:00 AM to 11:00 AM and 3:00 PM to 6:00 PM for both morning and evening batch respectively. For the remaining months, i.e., from 16 April to 30 June, the reserve timing further changes. It scheduled from 5:30 AM to 10:00 Am for those in the morning batch and 3:30 PM to 7:00 PM for evening batch. However, please note that afternoon shift at Kanha National Park remains closed on every Wednesday. Our Kanha safari booking comes up with a guarantee to fill your heart with the best wildlife experience. Best suited to your comfort and pleasure, our Kanha safari packages are accompanied with a luxurious stay amidst nature and incredible arrangements essential to provide you an indelible vacation. 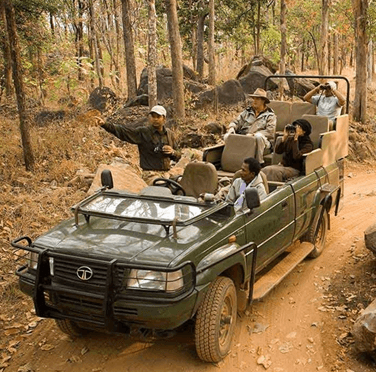 Your Kanha Jeep Safari with us will be organized under the supervision of an wildlife expert. Besides a wildlife tour, we’ll also take you to other attractions of the park. There are four zones in Kanha National Park – Kanha, Kisli, Sarhi, and Mukhi. 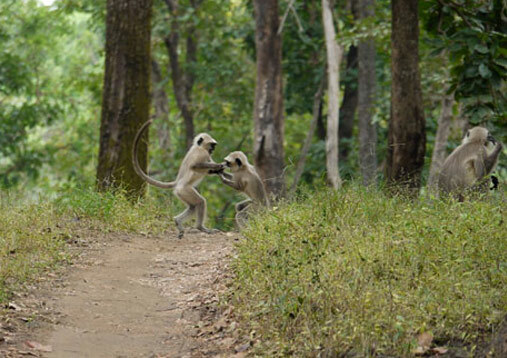 Amongst all, Kanha is the oldest zone of the park. Mukki zone is the second main entry zone of the park. Thereafter, comes the Kisli and Sarhi zones. 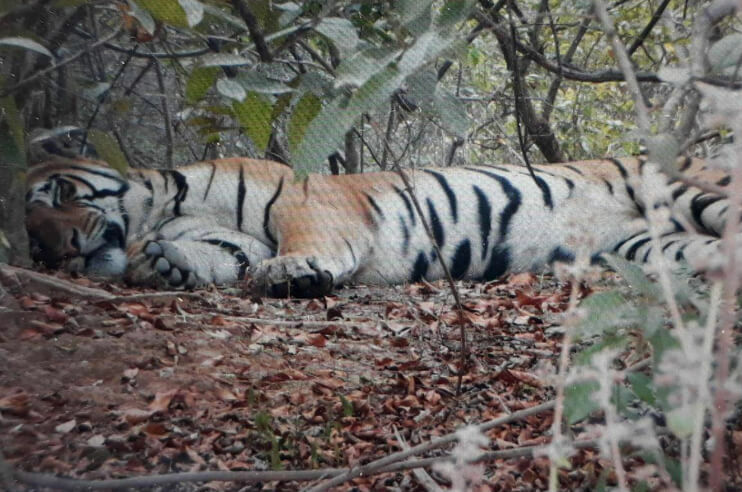 Once there was a time when tiger sighting was very popular in Kanha zone but now it becomes more common in all over the park. Kanha National Park also has three buffer zones – Khatia, Khapa, and Sijora. These zones are also available for jungle safari. However, Phen Sanctuary serves as the satellite core of Kanha and is known for leopard and sloth bear sighting. Throughout the year, the temperature varies in Kanha. In summer, it goes to its extreme whereas, during winter, the temperature can be quite cold. Kanha National Park remains open for tourists from 16 October to 30 June, and hence, these months are also the best time to visit Kanha National Park. From April, the summer season in Kanha starts that lasts till the month of June. During these months, the weather of the region remains hot and humid and temperature goes up to 43°C. Despite the hot weather, the park receives a large number of tourists. Winter The month of November marks the onset of winter season in Kanha National Park that continues till February. Winter is the most ideal season to visit Kanha as the temperature during this time remains all pleasant and favourable to explore the reserve. The temperature in Kanha during winters drops down to 30°C. Monsoon, from July to September, is not at all ideal to plan a wildlife tour at Kanha National Park. The reason behind this is that the park remains closed during the season because of the roads that are not navigable during this time period. Reaching Kanha National Park is neither a difficult task nor a complicated one. Being one of the major tourist attractions of Madhya Pradesh, the state tourism proffers a special attention to all means of transport in order to provide a smooth connectivity to the park. For those who prefer airway as their prime mean of travelling, Jabalpur Airport is the nearest airhead from the park. The distance between the park and the airport is around 164 km. One can hire a taxi from the airport in order to cover this distance. Roads and Highways also connects Kanha to its neighboring cities and towns. Therefore, travellers travelling from nearby places can also prefer road network to reach Kanha. The nearest railway stations from Kanha National Park are Gondia and Jabalpur which are located at a distance of 123 km and 161 km respectively. Taxi service is available from outside the station that will take you to your destination. Indian Railway Network allows one to reach reserve from any corner of the country which makes it is the most ideal mean to reach Kanha National Park.